May’s Theme: May Revels & More! DATE/TIME: Tuesday, May 21, 2019, 6:30-8:30 pm. 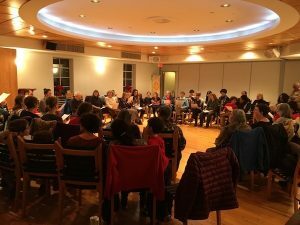 We gather on the 21st of every month — join us on June 21 in Bennington Drive Park for our Summer Solstice Sing!